Are you dog friendly yet? 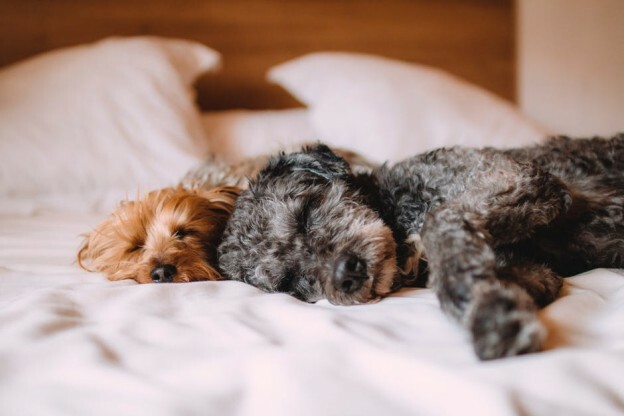 If you run a hotel or B&B and you don’t currently allow your guests to bring their dogs, you are potentially missing out on a rapidly growing market in pet travel. British dogs are increasingly regarded as a member of the family, with many owners seeking to take their four-legged friends with them when they go away. According to The Daily Telegraph, this trend has seen ferry operators, cottage agencies and hoteliers falling over themselves to prove their dog-friendly credentials. “Over 34 per cent of their customers took a pet on holiday with them in the UK last year and an increasing number are also taking their pets further afield,” added Emma Seymour-Sloan of the operator holidaycottages.co.uk. In 2014, the UK pet industry was worth more than £2.7 billion annually and pet travel continues to be one of the fastest-growing sectors of the travel market. Nearly all British cottage agencies have a search option for dog-friendly properties and more and more hotels are offering a range of add-ons for pooches, stocking up on dog biscuits and fluffy pet beds. And, it’s not just rurally located accommodation owners who are chasing the ‘hound pound’. Urban hotels too are starting to provide dog-friendly rooms. The Daily Telegraph article cites the St Pancras Renaissance hotel in London, for instance, which will soon be offering hotel butlers to provide walkies around the neighbourhood. Clearing up after dogs brings with it a need for powerful vacuum cleaners) and air fresheners; but the market does appear to bear additional charges levied by many proprietors to cover the potentially higher cleaning costs on changeover. Typical charges range between £10 and £30 a week for taking your dog on holiday and hotels may charge more. But these are still significantly more affordable for dog owners than the cost of leaving them behind, in kennels or with pet sitters. Some hotels are sensibly placing restrictions on the number and type of pet allowed and will consider each case on request. The Four Seasons Hotel in Winchfield, Hampshire, for example, state that furry guests must not exceed the weight of 30 kilograms (66 pounds), be fully house trained and at least six months old. Need to look at hospitality finance options to improved your dog-friendly offering? Whether you are looking to expand your existing hotel, b&b or self catering operation into areas like this, or are looking at starting a hospitality business, the chances are you will need hospitality finance and we, at Stewart Hindley & Partners, specialise in this sector. So, whether you are needing hotel finance or b&b finance, we can advise you on the best deals to suit your individual business circumstances. Take a look at our online Business Mortgage calculator for an initial guide to how much hospitality finance you might be able to raise or call our friendly expert team now to find out what would be involved.